In a world where everyone has a blog and you are inundated with information from every imaginable angle, you might feel pressure when writing for your business blog to do something to stand out, to be extraordinary, or to wow them with your business expertise and experience. I have a thought about this: Don’t. Let’s face it, we all have an innate desire to impress others. I have come across a few people in my life that genuinely don’t care what others think, but they are rare birds! In your quest to impress, you may even try emulating another successful business blogger’s voice in order to capture attention, but people will see right through this. People are pretty amazing at picking out imposters. They also don’t have a lot of time for them. 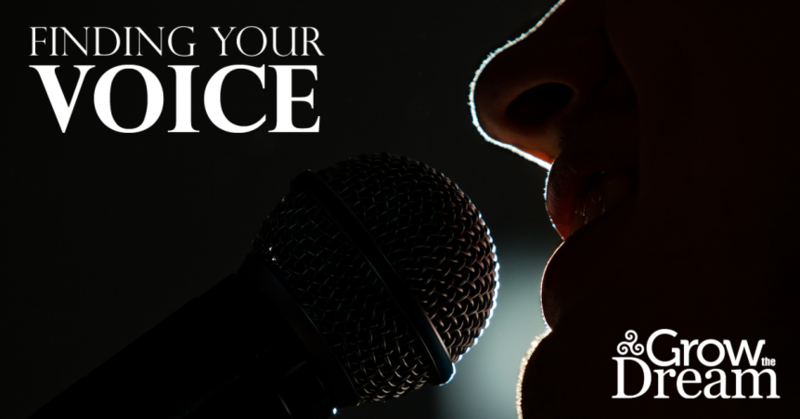 You don’t need stunts, tricks, or gimmicks in order to find your voice when writing for your business. wow others with your business expertise and experience. When you focus on trying to be something that you’re not, you are directing your energy toward a never-ending drain and it’s simply not sustainable. Ultimately you and your voice will inevitably shine through, and that’s o.k.! That’s really what you want anyway. Certainly you want to put your best foot forward and endeavor to present your readers with a well-thought out blog post, but it honestly doesn’t need to be ready to win a Pulitzer prize for writing or pass the grumpy grammarian’s edit test. By the way, if you’re a little unsure of your grammar skills (or even if you’re a regular grammarian, but want some 3rd-party evaluation), here’s a great tool to help you edit your own blog post… it’s a life-saver! If you’re using WordPress, it’s available at no charge with the Jetpack plugin. And you will surely find your voice. Happy blogging!